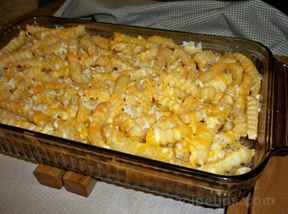 "I thought this recipe was kind of strange with French fries on top but my kids ... read full review"
Brown beef, drain well. 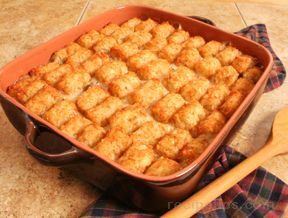 Stir in soups and pour into a 9 x 13 inch baking dish. Arrange fries on top. Bake uncovered at 350Â° for 50 - 55 minutes or until fries are golden brown. Top with shredded cheddar cheese. 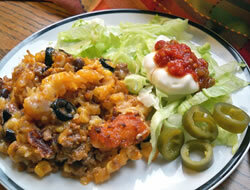 "I thought this recipe was kind of strange with French fries on top but my kids loved it. I think they all had seconds. I will definitely be making it again." 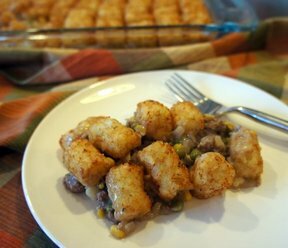 "I like to try something different whenever my wife lets me cook so I thought this recipe looked interesting. It was easy to make and we loved it. I will make it for the grandkids sometime."